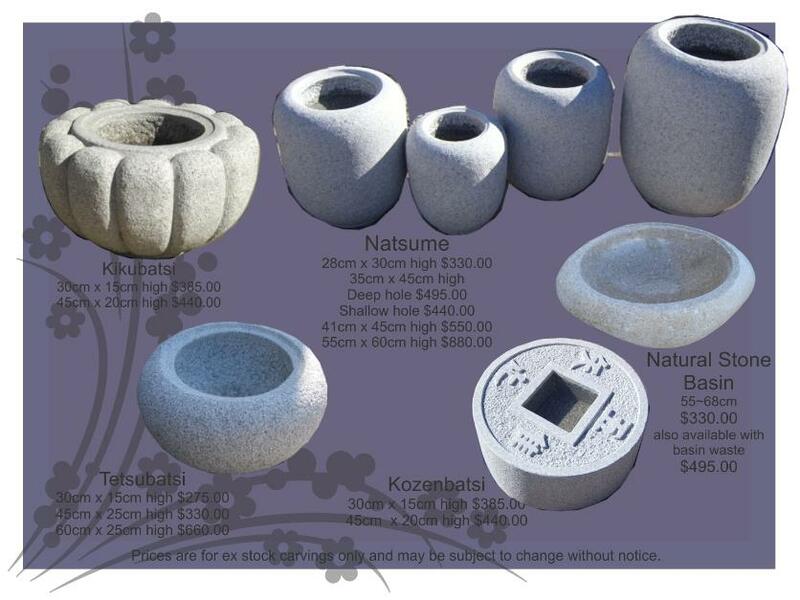 Granite Japanese Water Bowls available from J.H. Wagner & Sons. Water is a core element within the Japanese garden and a Japanese Water Bowl is both decorative and functional for even the smallest courtyard landscape ~ choose from traditional designs or natural rock bowls.